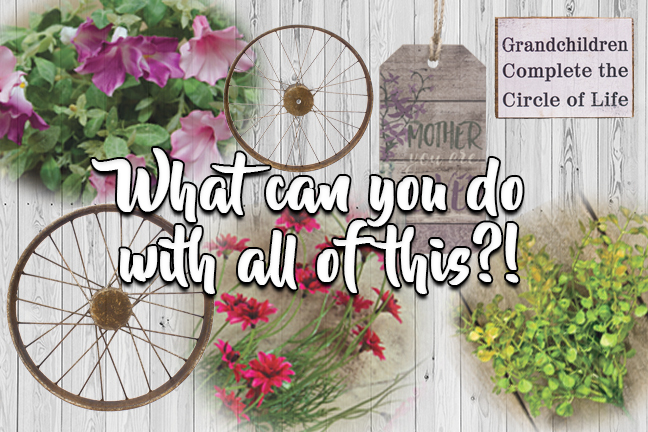 Show Mom You “Wheel-y” Love Her with a One-of-a-Kind Gift! Whenever I try to buy my mom a gift, nothing ever seems good enough! Anyone else have that problem? My mom is a crafty lady. She loves scrapbooking, crocheting, sewing, knitting, etc. When I was pregnant, I shared a quote with her, and a few weeks later she turned it into a cross-stitch. She’s seriously amazing. 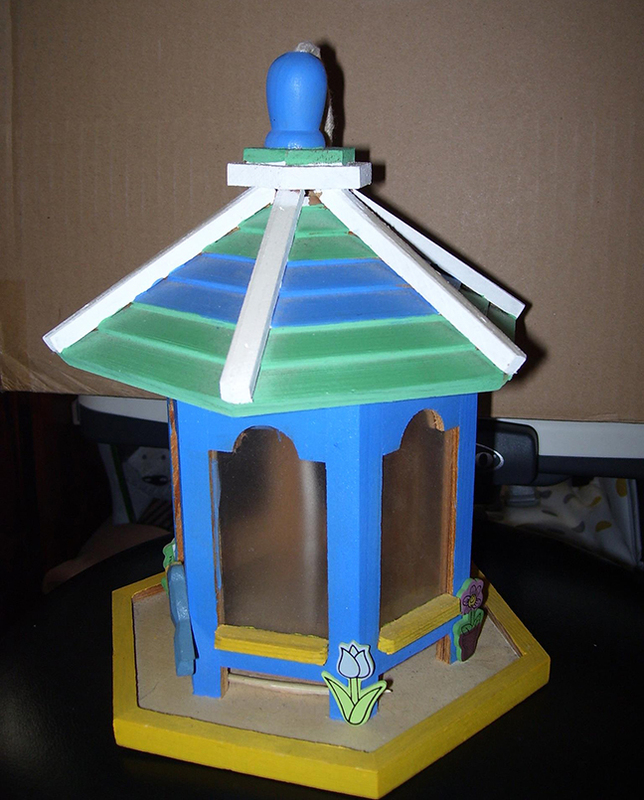 So when it comes down to gift-giving, I often turn to crafting so that I am giving her something that is one-of-a-kind! Like mother, like daughter, right? 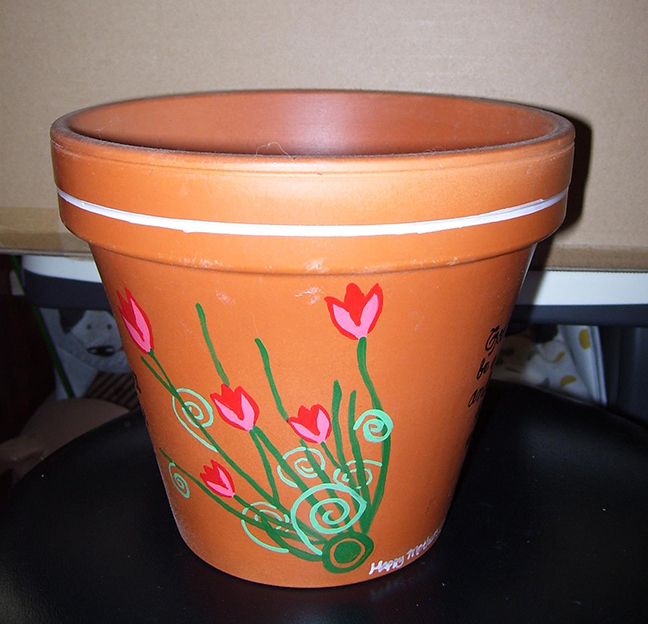 I want to share a little DIY project that any mom is sure to love! KP Creek was recently stocked with various sizes of antiqued bike wheels. When I saw them, my brain could not figure out what you would do with them aside from displaying “as-is.” Which would look great as a grouping on a wall! One of my co-workers found this amazing trend of wheel wreaths on Pinterest! The results were fantastic! I was truly inspired by what I saw. I used all the items in the picture above to make two custom wreaths: one for Grandma, and one for Mom! 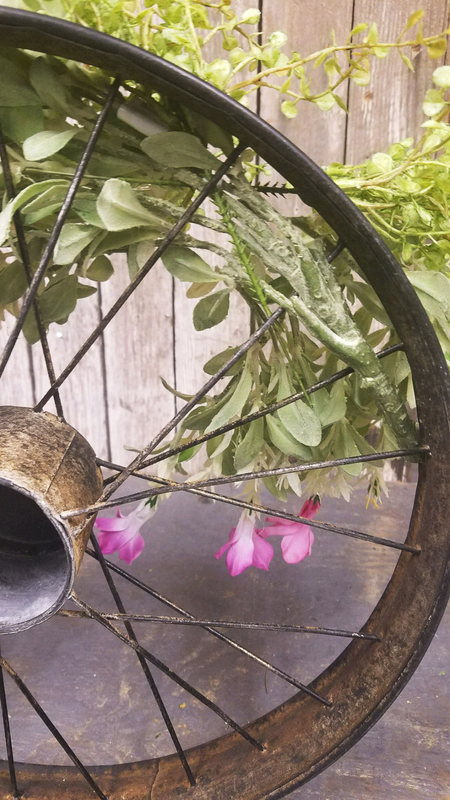 This wreath is made with the smaller 10″ wheel. I love colorful flowers, so pink star daisies were a no brainer choice! I used two of the daisy sprays and intertwined them into the spokes to shape them to curve with the wheel. Two peppergrass picks filled out the florals and add some more bright color! The phrase on the small block sign will definitely tug at Grandma’s heart strings! I used some sticky putty to get it to attach it to the wheel. You can buy sticky mounting putty pretty much anywhere. This is how I intertwined the branch into the wheel spokes. I used the 16″ wheel for this one because I knew the Mother You are Loved Tag would fit nicely. I recommend untying the jute on the tag and tying it back around one of those spokes to secure it. For the florals, this is just ONE petunia bush! 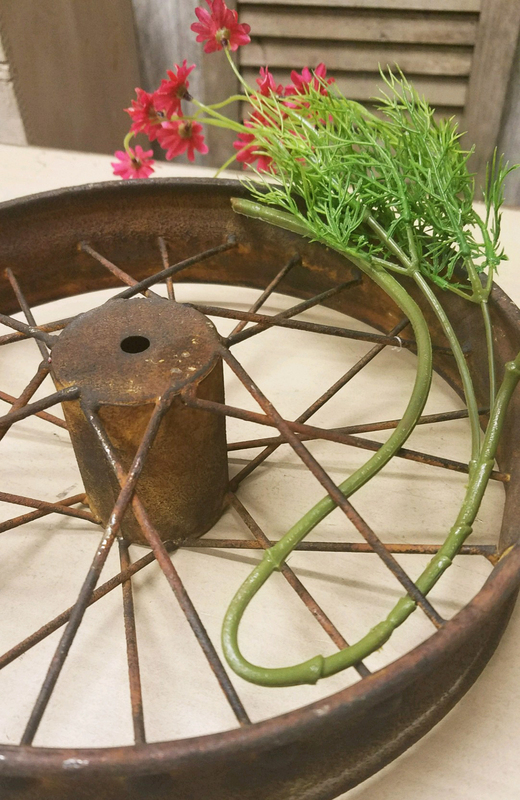 It is a pretty full bush so I bent it apart and shaped it to the wheel. Then peppergrass came to the rescue again to fill it out at the top. Close-up of how I weaved in the petunia bush. As I was putting these wreaths together, I was thinking of all the other crafts that I have made my mom over the years. I actually chuckled to myself because I remember those days of handing her glitter filled masterpieces, notes with scribbled hearts, and so many other pieces of artwork. I asked her to send me some pictures of any of the gifts she still had. 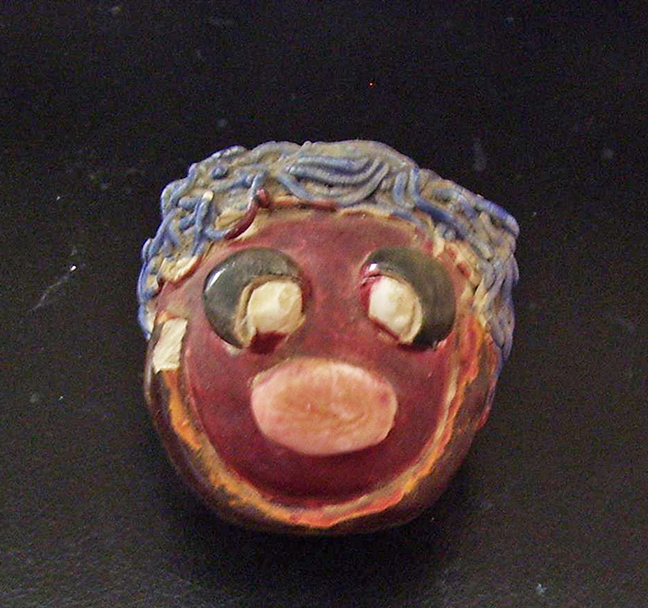 And while my skills did get a bit better over time, I still can’t help but laugh! 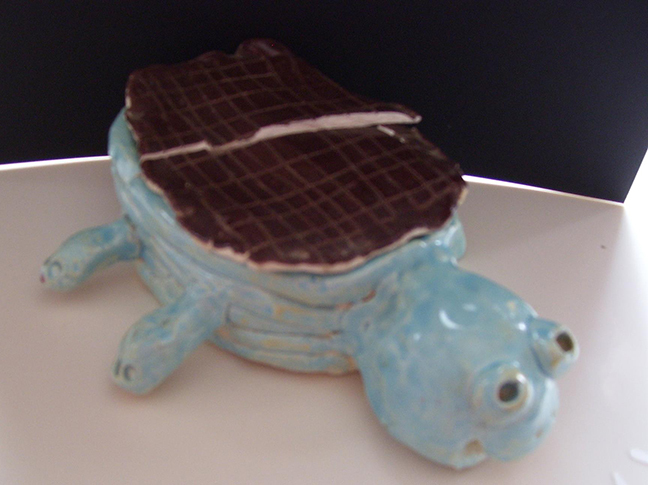 I clearly went through a ceramic phase in art class! Tell me about some of your early gifts to mom! Was there anything that you were particularly proud of?